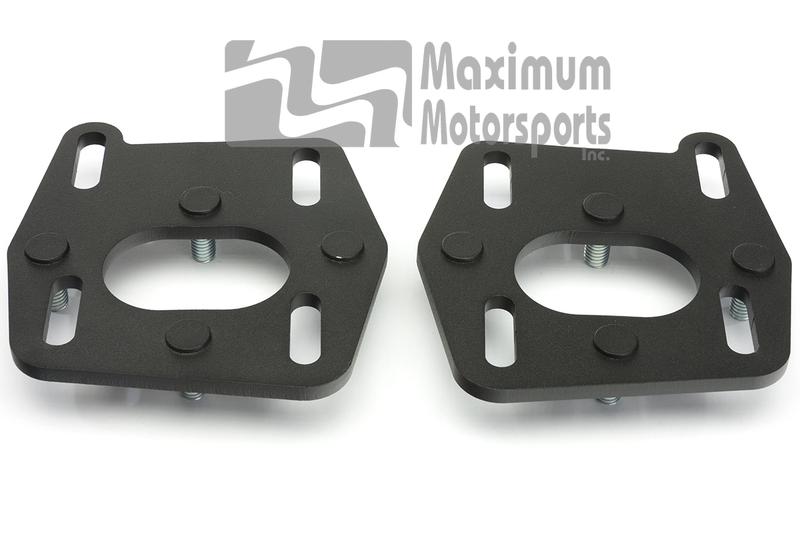 Maximum Motorsports 2003-04 Cobra Mustang Caster Camber Plates provide the means to properly align your Mustang's front tires. Especially well-suited for lowered Mustang Cobras because MM's innovative design provides a much wider range of adjustment for camber than the stock adjustment slots. Designed specifically for the OEM Bilstein struts Ford fitted to the 2003-04 Cobras. The OEM dustcovers on those struts are not compatible with our standard Caster Camber Plates (MMCC9994) for 1994-04 Mustangs. 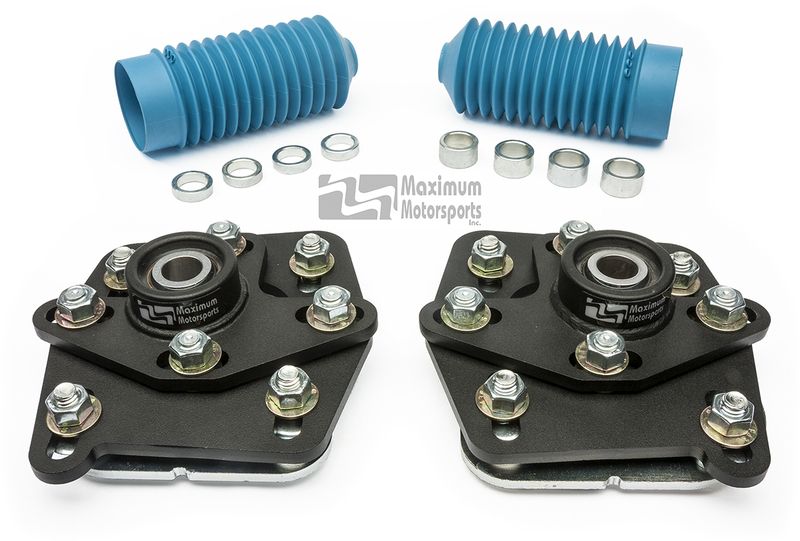 The MMCC0304 kit includes suitable dustcovers to fit the OEM Bilstein struts. 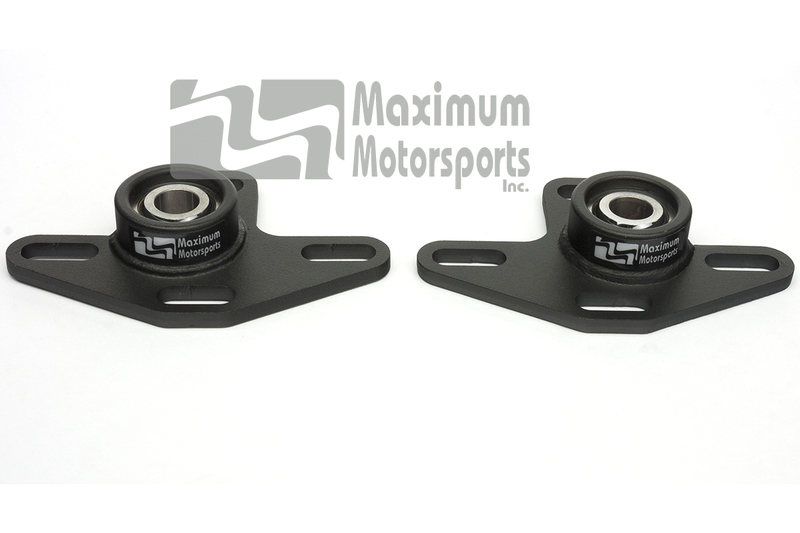 While originally intended for 2003-04 Cobras, the MMCC0304 Caster Camber Plates will fit any 1994-04 Mustang using Bilstein, MM Sport, or MM Race series front struts. 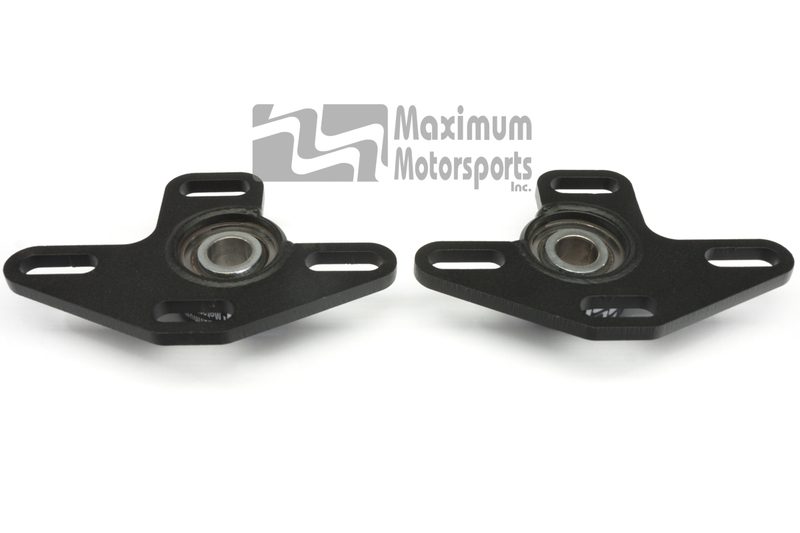 There are only two differences between these Caster Camber Plates and our MMCC9994 Caster Camber Plates: The inclusion of dust boots, and the omission of our urethane bumpstops. The bumpstops are omitted because Bilstein and MM struts have internal bumpstops. 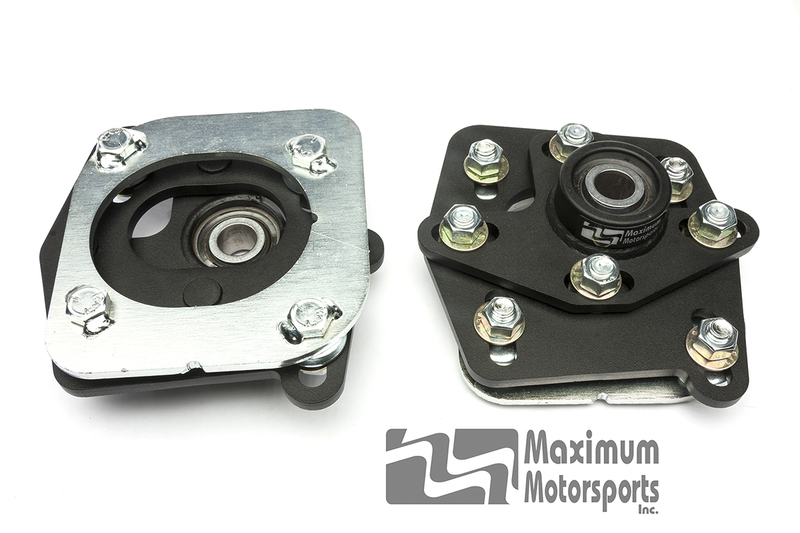 Maximum Motorsports invented the 4-bolt caster camber plate for 1994-04 Mustangs. That innovation provided the strength required to support a coil-over conversion. 4-bolt design requires only one drilled hole on each strut tower. 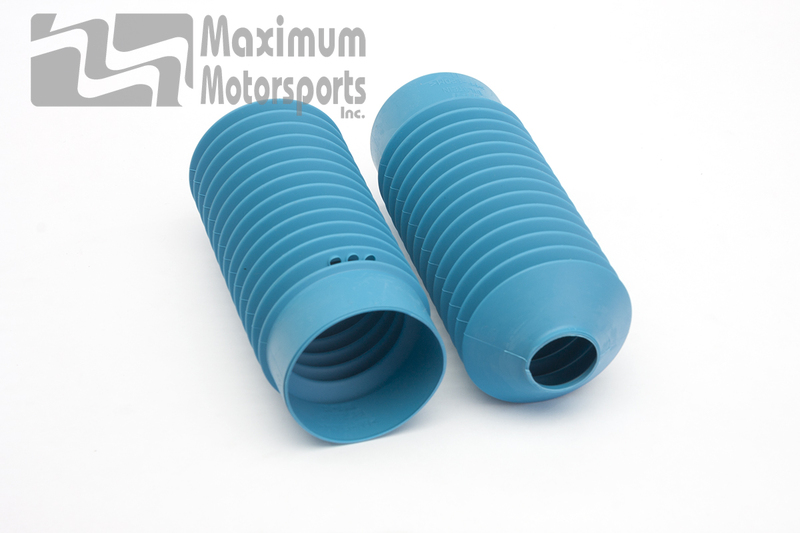 Includes strut shaft dust boots compatible with Bilstein struts and MM Caster Camber Plates. MMCC0304 is designed specifically for the OEM Bilstein struts Ford fitted to the 2003-2004 Cobras. The OEM dustcovers on those struts are not compatible with our standard Caster Camber Plates (MMCC9994) for 1994-2004 Mustangs. The MMCC0304 kit includes dustcovers that fit OEM Bilstein struts and MM struts. 2003-2004 Cobra with OEM Bilstein struts. Use MMCC0304 instead. 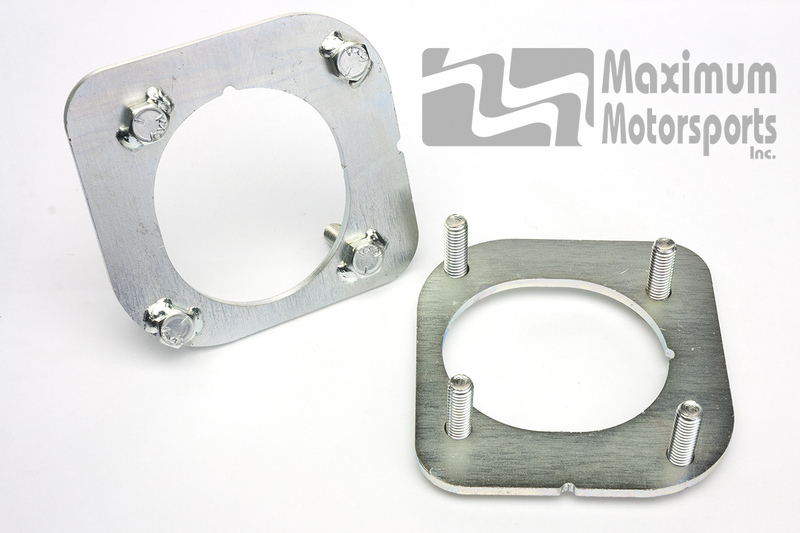 Any Fox chassis (including 1979-93 Mustang, Thunderbird, Lincoln Mark VII, Fairmont, Zephyr, LTD, Marquis) because of differences in the pattern of slots and holes in the strut towers. Use MMCC9994 with Strange struts, as those caster camber plates include bumpstops. Always install bumpstops on struts. The CC-1 bumpstops used in the MMCC9994 kit are available separately. 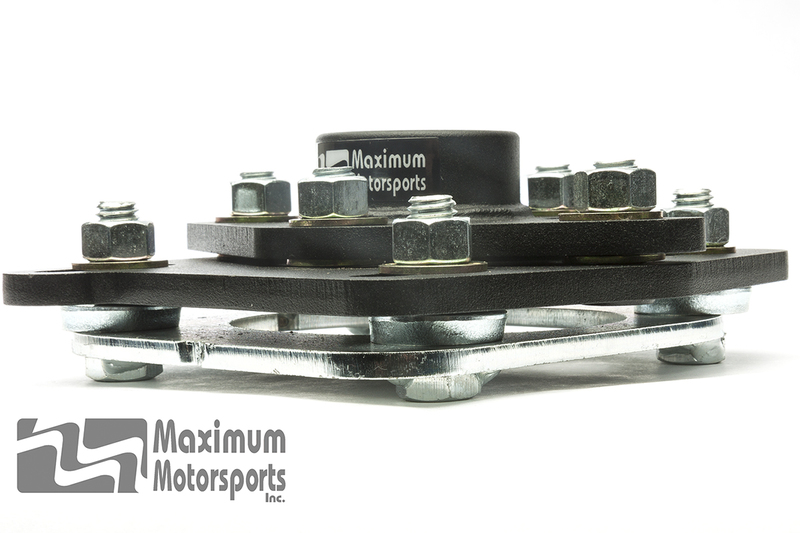 You can read Maximum Motorsports' highly detailed MMCC0304 Caster Camber Plate installation instructions before purchase.